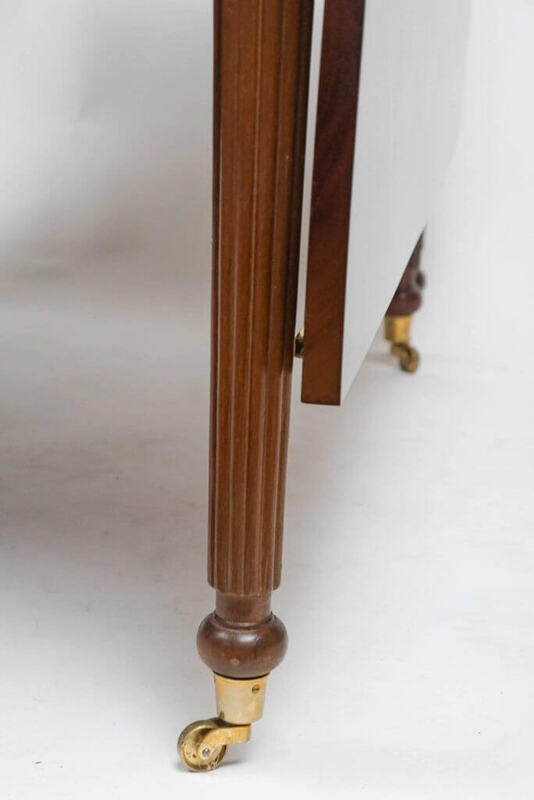 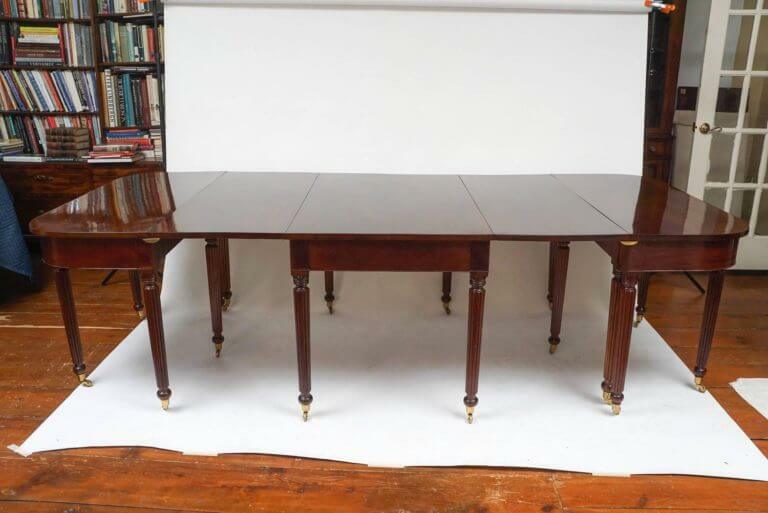 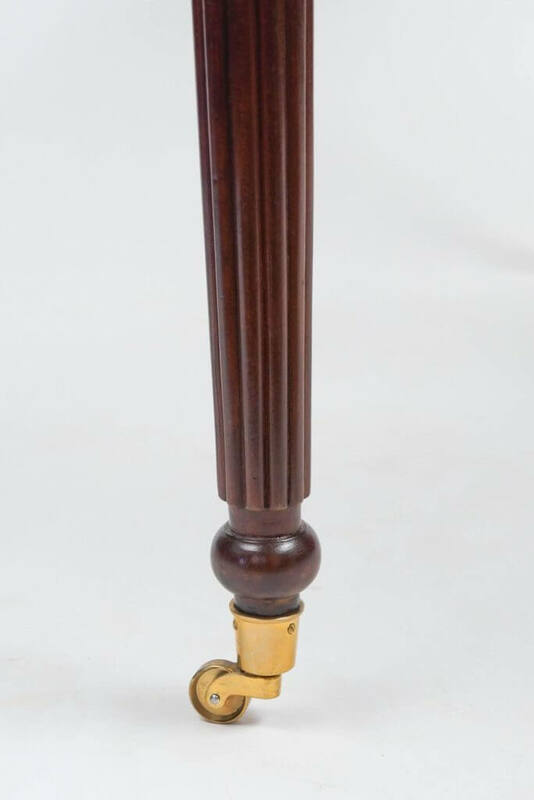 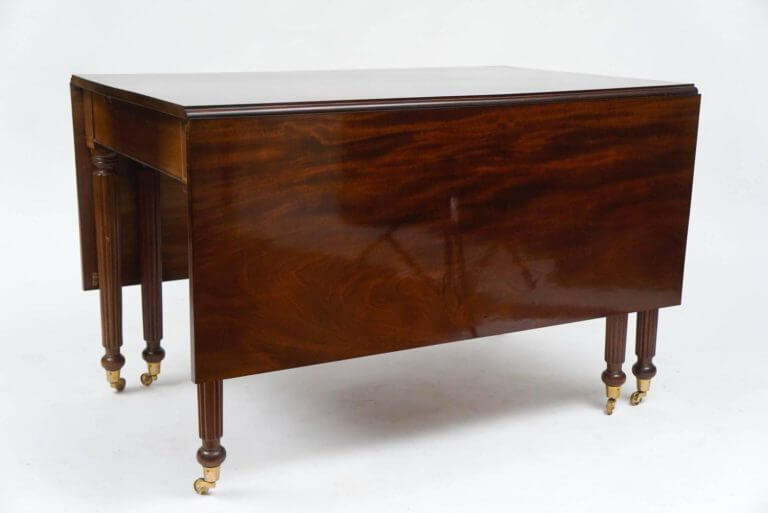 Rare and beautiful, circa 1810, Boston, Massachusetts, American Sheraton period solid mahogany extending dining table in three sections with four additional leaves in the style of Gillows of Lancaster's 'Imperial' dining table. 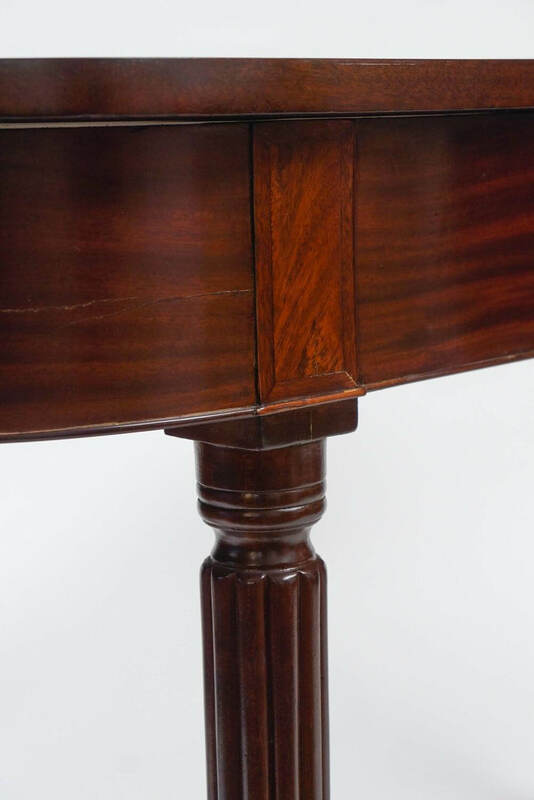 The 'd-shaped' ends with cross-banded central tablet design when disconnected form wall consoles and the center section a double drop-leaf breakfast table all with reeded legs on casters. Without leaves the table assembled measures 109.6", or just over 9', and with leaves 187.42" or 15' 6". 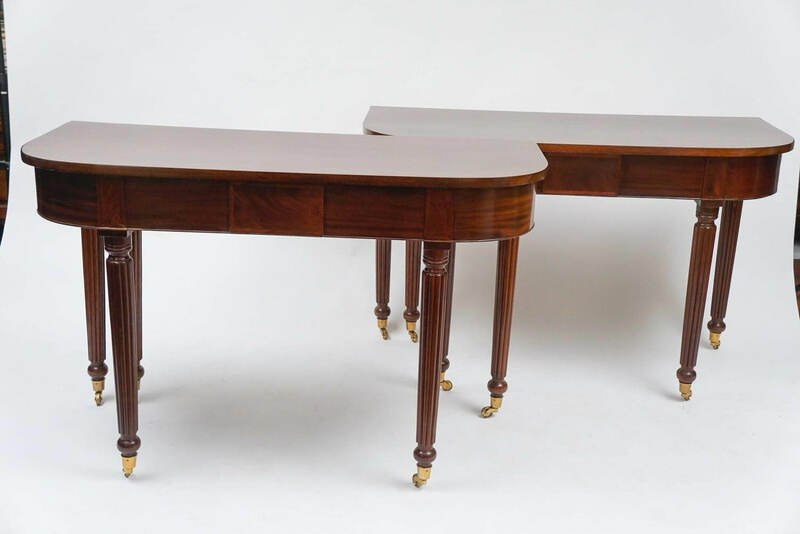 A truly remarkable table of rare size and quality. 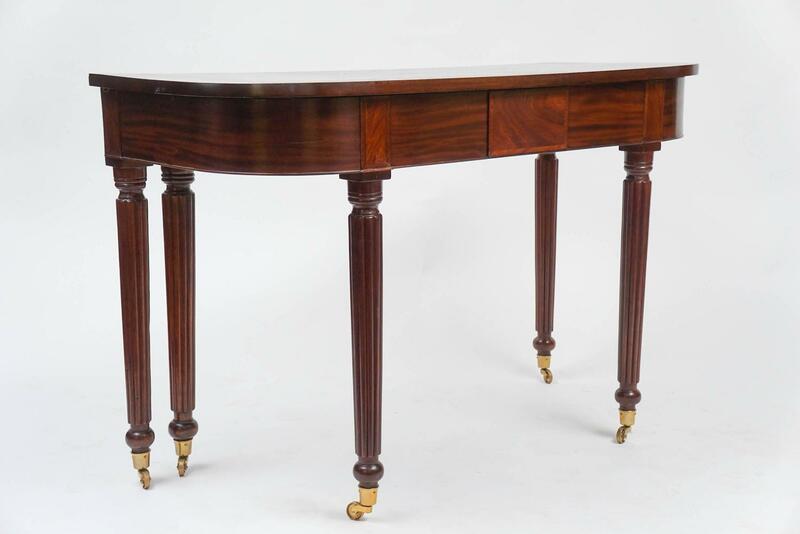 Rare and beautiful, circa 1810, Boston, Massachusetts, American Sheraton period solid mahogany extending dining table in three sections with four additional leaves in the style of Gillows of Lancaster’s ‘Imperial’ dining table. 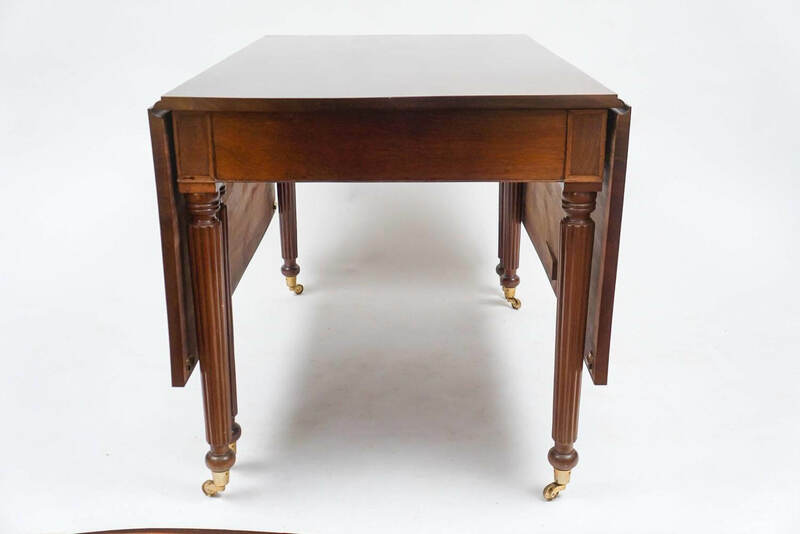 The ‘d-shaped’ ends with cross-banded central tablet design when disconnected form wall consoles and the center section a double drop-leaf breakfast table all with reeded legs on casters. 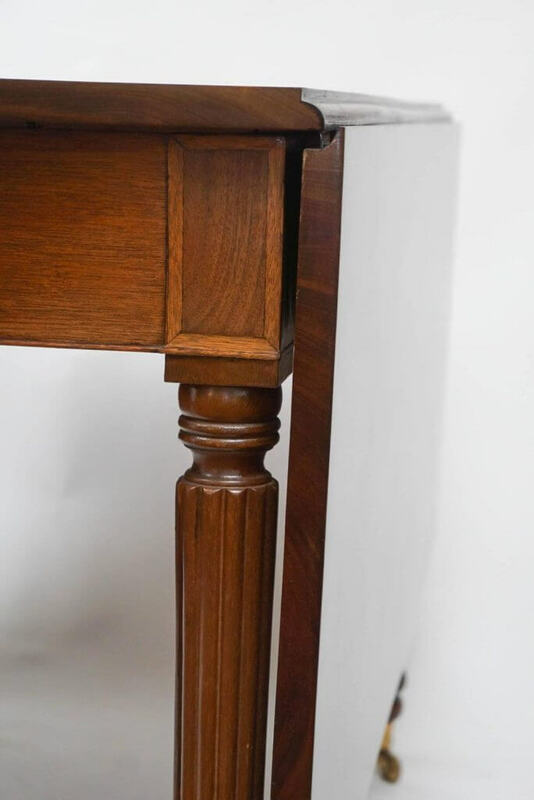 Without leaves the table assembled measures 109.6″, or just over 9′, and with leaves 187.42″ or 15′ 6″. 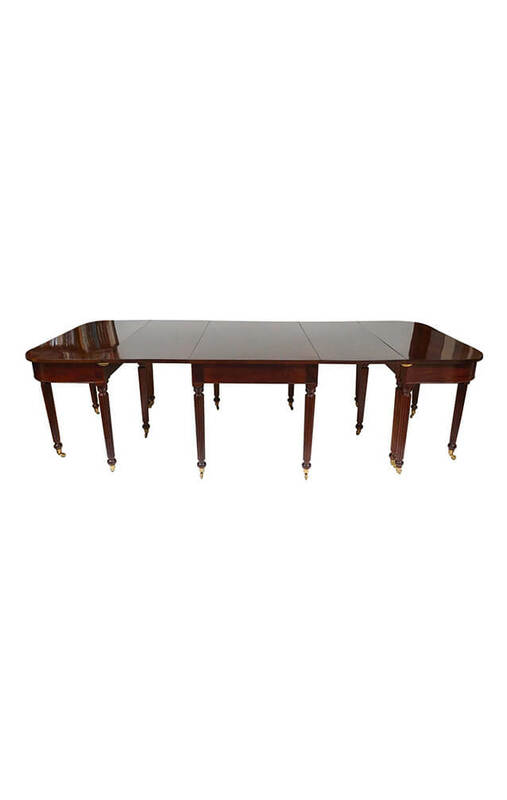 A truly remarkable table of rare size and quality.